Rahul Gandhi claimed that Modi’s app also tracked location of users through GPS. “Now he wants data on our children. 13 lakh NCC cadets are being forced to download the App,” said Rahul Gandhi. Countering Rahul’s allegations, the Bharatiya Janata Party’s (BJP) IT cell head Amit Malviya said, “Congress shares app users’ data with friends in Singapore”. He tweeted: Hi! my name is Rahul Gandhi. I am the President of India’s oldest political party. When you signup for our official App, I give all your data to my friends in Singapore. 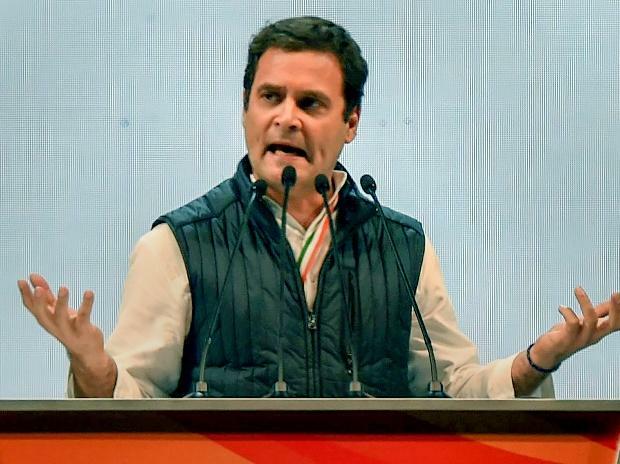 On Sunday, Rahul Gandhi said, “Modi was allowing ‘American companies’ to take away the data of users who signed up for his application.” Gandhi’s allegations come after the data leak scandal involving Facebook and Cambridge Analytica, and the many reports of Aadhaar data of Indians being at a risk of compromise. Now, Modi app also seems to be in the eye of a storm, and a new flashpoint in the war between the Congress and the Bhartiya Janata Party (BJP). “Hi! My name is Narendra Modi. I am India’s Prime Minister. When you sign up for my official App, I give all your data to my friends in American companies,” Rahul Gandhi tweeted. Rahul Gandhi tweeted: Modi’s NaMo App secretly records audio, video, contacts of your friends and family and even tracks your location via GPS. He’s the Big Boss who likes to spy on Indians. Now he wants data on our children. 13 lakh NCC cadets are being forced to download the app. Amit Malviya tweeted in a similar vein today about data from users of the Congress web site being shared with the party’s “friends in Singapore”. Hi! my name is Rahul Gandhi. I am the President of India’s oldest political party. When you signup for our official App, I give all your data to my friends in Singapore.